Smooth flowing baseboard, an elegant crown detail on the panels drawer fronts, surrounded by clean, flat panel sides offer a stunning combination that will offer an antique beauty that will be a centerpiece in any bedroom storage decor. The solid hardwood used to craft these dressers is hand-selected to ensure a beautiful character in the grain and integrity of the wood, to ensure you have an heirloom quality piece that's ready to be enjoyed for your lifetime, and many generations that follow. 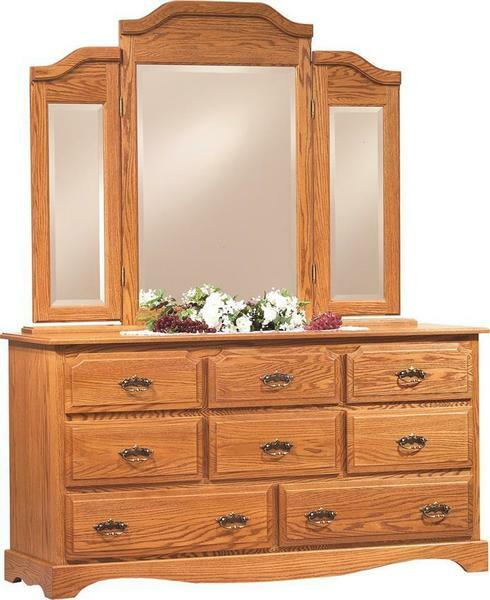 From you jewelry chest to your favorite photos of your loved ones - the large, flat top of the Summit Dresser offers plenty of space for your everyday items. Below, the eight spacious, dovetailed drawers are fixed with full-extension glides, opening fully to reveal storage space for your wardrobe. Add the matching tri-fold beveled edge mirror, which is cased in the same beautiful hardwood, to give you a place to get ready in the morning and make sure you look your best before a night out on the town. Put a bit of your personality into this dresser by choosing from eight different hardwoods, all finished with a beautiful stain and conversion varnish, to get the perfect piece to match your decor. 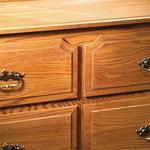 Finish it off with your favorite hardware and your new dresser is sure to be a reflection of you. Questions? Call one of our furniture specialists today for more information on our Summit 62" Dresser, or any other piece on our site. 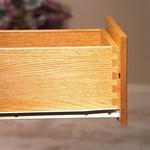 We offer stain samples for each species of hardwood and are happy to help you start your order by phone. Is it missing something? 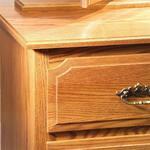 If this dresser is "the one" - but the dimensions are off, or you had something special in mind, no need to worry. Our team has been working with these wood shops for many years and has perfected the art of building custom, one-off furniture. 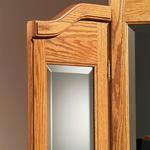 Call us today to discuss your ideas and request a free custom quote. Let us help you furnish the perfect bedroom suite!